Thirty-five years ago a friend suggested to Faith that they take a watercolour course offered in the community. From painting on paper, Faith soon discovered fabric paints delighted many of her colleagues at the rehabilitation hospital where she worked as a physiotherapist with her many flowery sweaters and shirts. From there she expanded to Christmas shows with more and more success and experimented with different subjects and textiles. "Much too good for sweaters" was the consensus which led to paintings, for which an original technique was developed using watercolours and raw canvas. When Faith moved to Canmore, the subjects quickly became scenes and wildlife. 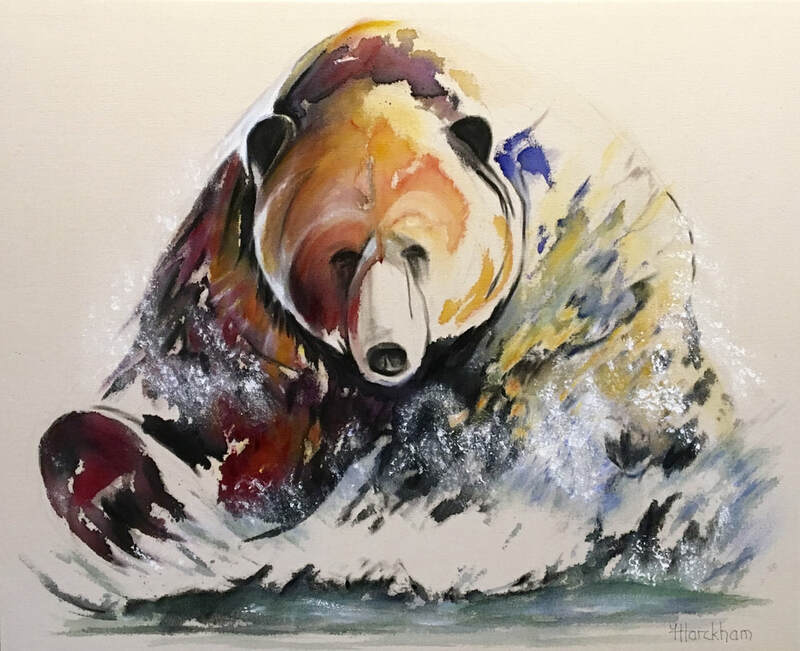 Grizzly bears soon became the favourite and Faith continued to develop her use of water based fabric paints over time to create the unique paintings you see today, depicting the movement, power and personality of these magnificent creatures. She has become an icon in the Bow Valley. Her paintings have been sold in galleries here, and in Edmonton and in Calgary. Individuals and corporations across the world have purchased her works. For the past 25 years Faith has donated the earnings of her artwork to the development and distribution of solar lighting and other grass roots projects across the developing world which she and her husband are directly involved with. Faith uses the heaviest canvas available (60 lb) untreated. The paint is a washable fabric paint which will not fade or discolour with time. The method is wet on wet so the canvas must be kept absolutely flat during painting. Many, many hours of practice have given Faith the skill to apply , mix, soften or strengthen the colours before the canvas dries. When completed, the colour is set with a hot iron and sprayed with "Scotch Guard" to protect the unpainted areas. The majority of people prefer their painting unframed on the 2" stretcher though the frame can be removed for other mounting options. 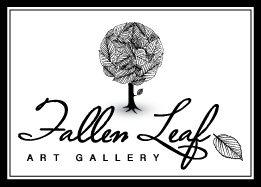 See Faith Harckham's works at Fallen Leaf Art Gallery the next time you're in Canmore.